Tickets: $29-$75. www.drphillipscenter.org; 844-513-2014 or the Dr. Phillips Center for the Performing Arts Box Office (no fees). as part of the “bmoc@dongiovanni.us”: a series of lead up events to the opera. Whether considered the finest opera composed by Wolfgang Amadeus Mozart or simply the greatest opera of all-time, the composer’s 19th effort in the art form from 1787 is a rousing entertainment. Amidst the soil of comedy, an opera buffa, dark and threatening elements dwell beneath its surface. The audiences of the day were simultaneously delighted and horrified by the graphic exploits of the irreverent cad Don Giovanni. “By transporting this ancient ‘monster’ to a modern-day college campus, we are attempting to challenge audiences in much the same way as they were in 18th and 19th centuries,” explained Gabriel Preisser, Opera Orlando’s Executive and Artistic Director who also will perform the title baritone role. "It is an unfortunate reality that sexual abuse and violence are as prevalent as they are in our society and on our college campuses." The performances will take place at the Alexis and Jim Pugh Theater on March 24th and 25th at 7:30pm and March 26th at 2pm, the Dr. Phillips Center for the Performing Arts in downtown Orlando. To realize this vision, Preisser has enlisted the talents of stage director Robert Neu. “Gabe and I have collaborated on numerous projects in the past but none that can deliver the dividends of this Don Giovanni update,” said Neu. "We'll be deeply exploring the modern-day relevancy of these fascinating characters and bringing them to life in a highly theatrical manner." The Minneapolis-based Neu is Artistic Director of Skylark Opera Theatre and has directed more than ninety production of operas, musicals and plays throughout the country. His work has most recently been produced by Shreveport Opera, Colorado Symphony, Emerald City Opera, Jacksonville Symphony and Central City Opera. This will be his Opera Orlando debut. Also making her company debut is Conductor Elaine Rinaldi who is the Founder and Artistic Director of Orchestra Miami. In opera, recent engagements have included debuts at Mezzano Romantico Summer Festival (Fiera di Primiero, Italy) leading performances of Suor Angelica/Gianni Schicchi and at the Tri-Cities Opera leading sold-out performances of Don Giovanni. Ms. Rinaldi maintains an active presence on the stage as a chamber musician and recital accompanist, and works with some of the most recognizable names in the world of opera in her private coaching studio in New York City. The list of principals includes bass-baritone Todd Donovan (Leporello); sopranos Janette Zilioli (Donn’Anna), Julia Radosz (Donna Elvira) and Sarah Nordin (Zerlina), tenor Chad Johnson (Ottavio); and baritone Tyler Putnam (Masetto). World renowned and Metropolitan Opera star Rod Nelman will make a special appearance as the doomed and ghostly Commendatore. All are making their Opera Orlando debuts. The Opera Orlando Chorus will be prepared by the company’s Music Director, Robin Jensen. The Orlando Philharmonic Orchestra and the Orlando Ballet, with choreography by Arcadian Broad, will perform. Detailed biographical information of all the above artists is available at www.operaorlando/ don-giovanni-artist-bios . The Production Staff features Grant Preisser as both Costume and Scenic Designer; Jon Whiteley will create the Lighting Design and company staff member Nicole Dupré will realize Hair & Make-Up Design. 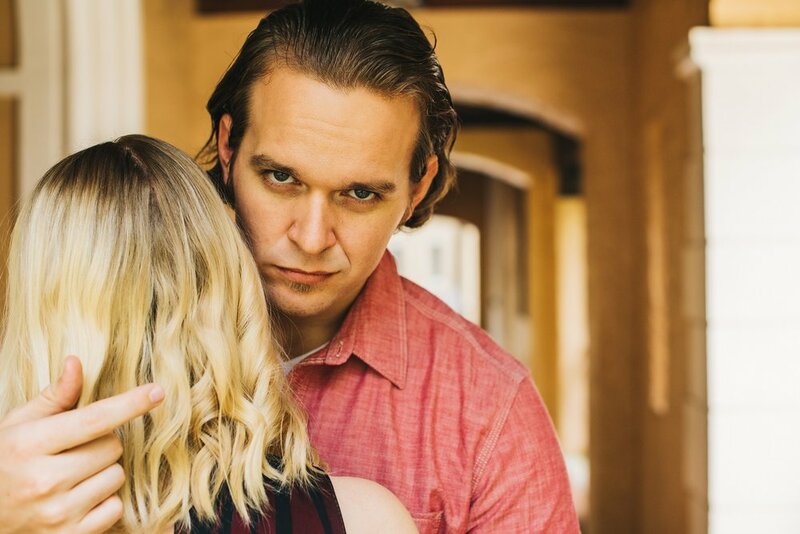 Opera Orlando’s upcoming production of Don Giovanni will be preceded throughout March by: “bmoc@dongiovanni.us: Special events leading up to your Date with the Don.” These are comprised of musical, theatrical, recorded and open discussions that will be detailed in an accompanying press release. Please see gallery of photos courtesy of Rudy+Marta Photography. These, this release’s lead image and other images are available upon request in high resolution with detailed captions.